Accessories are available at present for those aircraft listed below; others measured and made up as requested. I don't really like to use bar mitts myself. 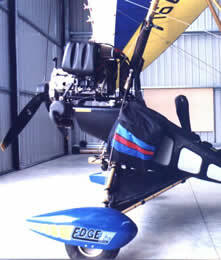 Most of the mitts I have seen have been quite restrictive, but I know a lot of Trike pilots like this type of product. So, as I said when I first started writing Hangar Talk - Flight Test, I will give you my honest evaluation of the product. Punkin Head Air Sports have produced a number of products for Trikes and three axis Ultralights, and the Bar Mitts have been made with the same outstanding quality. The Bar Mitts come in a variety colours and trims. 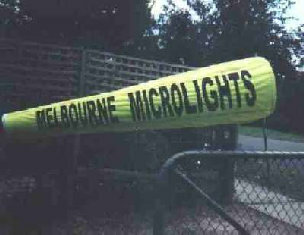 They are made of Cordura, polarfleece and have a foil thermal layer. The Bar Mitts are tapered to keep the air flowing around the mitt, instead of the mitt punching into the airflow. The Bar Mitts are really a simple design, and they work really well. I have done a flight test on bar mitts before and one of the problems is fitting them to the control bar. 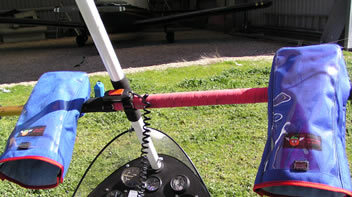 I don't like the idea of leaving a glove or bar mitt on a Trike when it is sitting on the ground or in a hangar. Why? Well a good friend of mind left her bar mitts on the bar over night, and in the morning there was a very large and ugly spider which had taken up residence in one of them. Not a nice sight at all. is not listed, please check the possibility of it being added to our production list. 1000D Nylon outer thermal centre, polar fleece lining. Two clear map pockets on top; removable from bar. Choose colours in 1000D Nylon and trim. Nickel plated brass grommets when available. 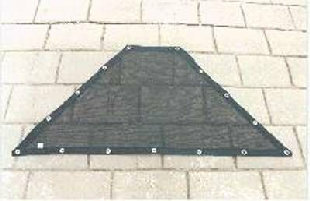 centre panel for long items such as tents. Heavy duty P.V.C. - can sit on top of, or instead of, stoneguard. 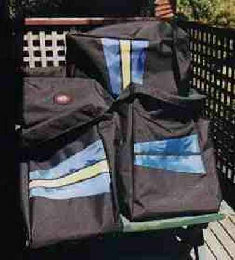 Also available as a cargo bag for Airborne XT models. log book and pen, navigation instruments. Zip closures and carry handle. 420D Nylon/Polyester combination and trim. 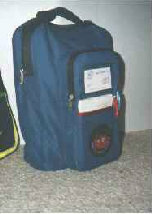 Zip top for general carrying; storm flaps. Easy 5 minute rigging and de-rigging. Quality parachute webbing and harness - tested to 2500 lbs. Choice of 2 or 3 trim strips - main body in P.V.C. 300DPolyester - available in choice of colours. FREIGHT/POSTAGE NOT INCLUDED IN PRICE. All quotes are in Australian dollars and are GST inclusive.